Where are all of my Contemporary Romance readers?! Have I got a book for you! Rodel Emerson is looking for a place to call home. After a nomadic upbringing with her parents and sister, she yearns for roots and a place to plant them. Unlike her fun loving, free-spirited sister Mo, she is content with her position as a teacher and quiet afternoons spent reading in her library. Jack Warden is as rugged and wild as the Tanzanian coffee farm where he grew up. A single father, he spends his days tending to the needs of his farm and doting on his daughter Lily who is the light of his life. Lily embodies everything free spirited and wonderful for Jack – sunshine, rainbows and yellow balloons, and together they live a happy existence on the farm. When a bomb explodes in an attack at a local mall, Lily and Mo are caught in the blast, their lives abruptly taken from those they love, lost amidst the rubble and wreckage of the explosion. Rodel comes to Tanzania to retrieve Mo’s belongings and finds that her sister’s time in Africa was spent helping children in danger find safe harbor – her mission only half complete. Rodel takes it upon herself to finish the work Mo started, and goes in search of a Tanzanian coffee farmer named Jack to help her. Bound by tragic circumstances, Jack and Rodel begin a journey to bring the children on Mo’s list to safety, and find their lives inextricably tangled in ways they never thought possible. 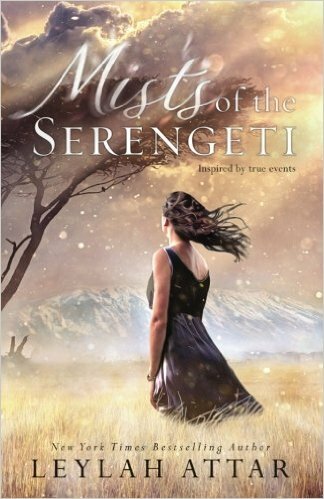 Mists of the Serengeti is a lush, evocative journey through the African plains. This book is beautifully written, emotional and stirring. I thoroughly enjoyed this novel; I found the setting to be unique and the characters well developed. The plot of the story falls a little flat for me – but this is not a plot book, it is a love story about grief, loss and finding purpose and new beginnings through tragedy. There are weak parts in the book where I feel like the author got a little caught up in the burning romance, but the final pages of this book are spectacular and soul crushing – I loved it. Because I read and review a wide variety of books and genres and write for a broad audience, I feel a little compelled to let you know that while this book is categorized as part women’s contemporary fiction, part romance, it is largely a romance. If you are a reader who is sensitive to intimate love scenes, I would not recommend this book for you. BUT - If you’re a fan of women’s contemporary/contemporary romance and are looking for a fabulous story with all the steamy, swoony scenes – you will not be disappointed.